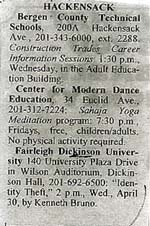 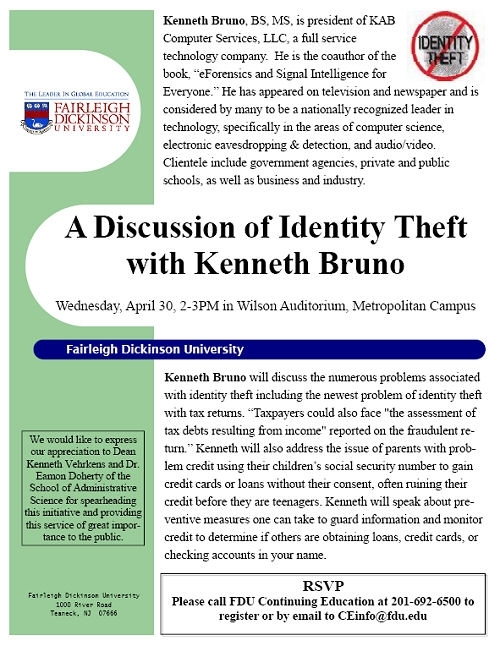 On Wednesday, April 30, 2008, Kenneth Bruno gave a speech at Fairleigh Dickinson University's Metropolitan Campus to students, alumni, and faculty on the topic identity theft. 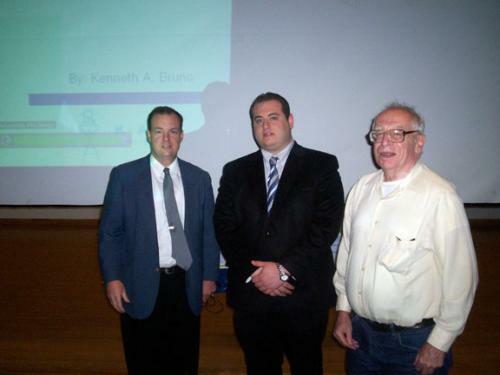 The event was held in the Wilson Auditorium, which has a capacity of approximately 440. 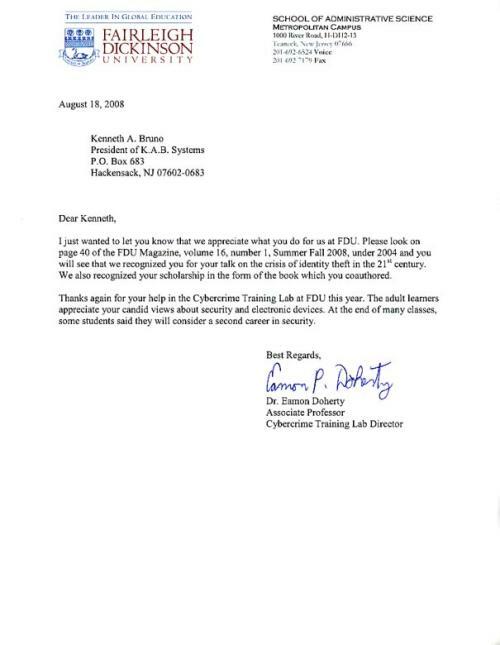 He discussed the numerous problems associated with identity theft, new methods and schemes criminals use to obtain your identity, and preventative measures you can take to guard your private information.